- Full social integration makes it simple to stay up to date with everything happening at Calvary Assembly. - Sermon notes make it so you can follow along with Sunday's sermon, take notes, and email the sermon notes with your notes integrated into them. 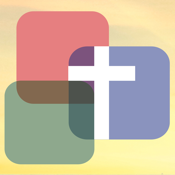 - Watch sermons and view notes in-app and then share them with friends through social media or email. - View the in-app calendar, bulletin, and newsletter to see what events are coming up at Calvary Assembly. - A built in Reading Plan makes it easy to stay in the scripture and track your progress as you set personal challenges (the app tracks daily and monthly progress).